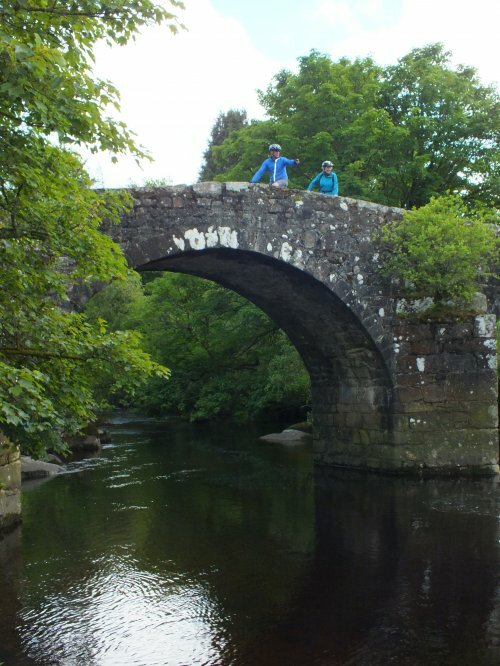 Stay on the B3357 towards Dartmeet beware fast traffic along the stretch from the Moretonhampstead turn and Lower Cherrybrook Bridge for just under 6.4km (4 miles), soon passing the drive to Prince Hall Hotel then dropping to cross the Cherry Brook and ascending past Dunnabridge. 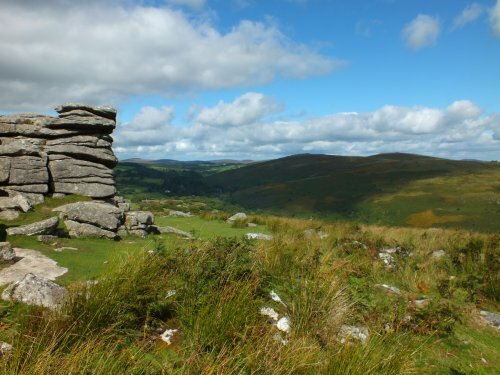 Cross a cattle grid and enjoy wonderful views right over the valley of the West Dart. After just under 6.4km/4 miles turn right to Hexworthy. The lane drops gently to pass St Raphael Church and run alongside the beautiful West Dart, soon crossing medieval and high-arched Hexworthy Bridge. The quaint little church of St Raphael was built in the 1869 as a mission chapel to cater to worshippers living too far away from the parish church at Lydford. This is the only Anglican chapel in the country dedicated to St Raphael. A little further along the lane look out for Jolly Lane Cottage, said to be the last cottage on Dartmoor to have been built in one day; at that time (1835) it was accepted that if a piece of land could be enclosed and a cottage built (and the fire lit) between sunrise and sunset the property could be claimed by the builder. brings panoramic vistas to the coast at Teignmouth, before a gentle descent to Venford Reservoir, opened in 1907. 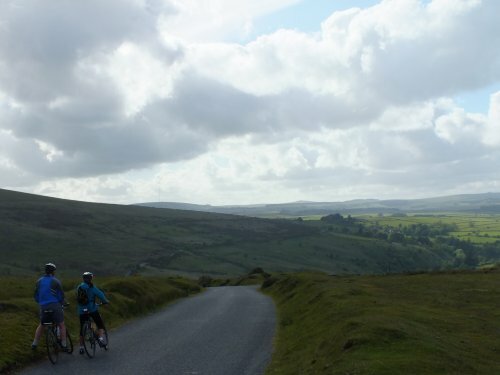 Holne sits on the Two Moors Way, a 164km/102-mile walking route between Ivybridge and Lynmouth on the north coast of Exmoor (now linked to the Erme–Plym Trail to form the Devon Coast-to-Coast route, c187km/117 miles). This pretty village is blessed with its own community shop and tearoom, a good pub and the 14th-century church of St Mary the Virgin. Charles Kingsley, author of The Water Babies, was born in The Vicarage in 1819, and later moved to Clovelly on Devon`s north coast. At the crossroads by the pub (AD1329) turn right to pass the church and Community Stores. Follow the lane right at Play Cross, signed Hexworthy and Michelcombe. A short distance on turn left for Michelcombe and descend steeply into this attractive hamlet. Cross the bridge, and turn left, signed Scoriton. The narrow lane wends its to a T-junction; turn right to cross a bridge then climb uphill, soon passing The Tradesman`s Arms and through the village.